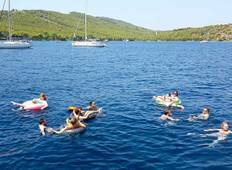 Find the best 7 day tours and trips starting from Trogir. Choose from 9 tours - we've found the most popular time to visit is in June with the most number of tour departures. Community Sailing Trip in Croatia, Out & About Route with special guest! "Fantastic sailing trip! Highly recommendable!" "Amazing week exploring the islands of Croatia. Absolutely loved Hvar and Bar Africa..."
"Love the trip! 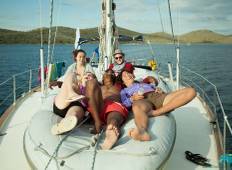 Great mix of cycling and sailing"
"Best week of my life! Awesome boat, great crew and incredible bight life. Can's wait..."